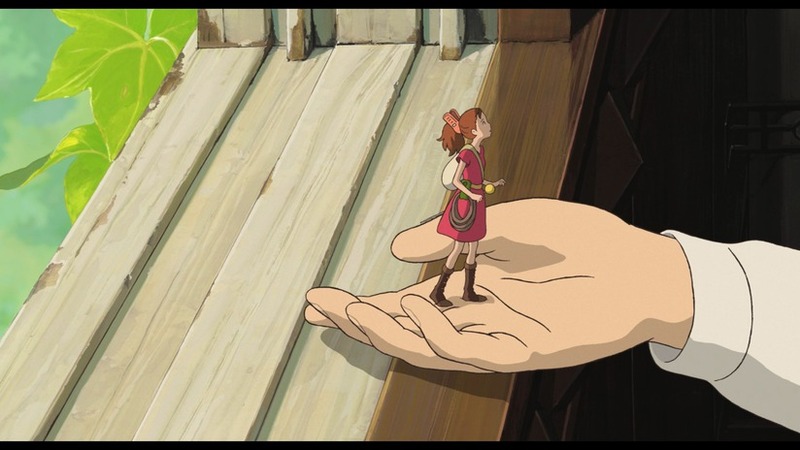 About a month ago we took Charlotte to see The Secret World of Arietty, a lovely Japanese anime film based on the novel The Borrowers. I wrote about the film on Culture Bean and hope you’ll visit that post. When Charlotte returned to school after February break she learned that many of her friends had seen the movie, too. Thus began a month of “playing Borrowers” on the playground. I can’t really say what this involves as I’m not privy to playground time. But, I do know that Charlotte often talks about flying as part of this imaginative play. By itself, this is interesting because only one of the Borrowers in the movie “flies,” really. He does this by holding a leaf over his head and catching the wind, gliding more than flying. In any case, Charlotte and her friends have been inspired to find a way to fly. One of the boys has told them that they will need a jet pack. Charlotte recognizes that it might be hard to build a jet pack, but she did ask me for a cardboard box so she could get gas for the jet pack when we filled the car. I explained all the reasons why collecting gas in a cardboard box for a non-existent jet pack might not be practical. She was disappointed but not dissuaded. The next day Charlotte came home wearing a belt made of paper and glued around her waist. This was, she explained, the belt to which she would attach her wings once she made those. She spent the next week busily cutting wings out of paper for herself and several friends. This consisted of cutting one edge of the paper into triangular-shaped fringe and leaving the rest of it rectangular. She glued her wings to the belt and wore it to school. And, you can imagine my glee when the mother of one of her friends said, before a playdate, that she would keep an eye and make sure they didn’t try to fly off the backyard jungle gym. What relief that another person’s child was obsessed with flying! And what a relief that Charlotte wasn’t running around the playground alone imagining all these things. I LOVE that this movie has ignited Charlotte’s imagination. Arietty is a character worthy of being a role model: She’s a loyal daughter and friend; she has a moral compass; she’s brave, a tiny bit reckless but smart, and sweet; and she’s fashionable. You have to love a girl who rock can chip-bag clip as a pony tail holder, face off against a cricket with straight pin sword, and let a stranger put her on his shoulder. I can’t help, however, but recognize that this movie and its imaginative play has inched us into seven-years old, and begun to shape all the fears that I will have for Charlotte as she grows into a smart, sensitive, imaginative teen. One day she will no longer believe she can fly on paper wings. I hope that day doesn’t come too soon. And I pray she doesn’t get hurt in the interim.